« #0408* – UKIP Seems Willing To Prostitute Principles For MORE Tax Payers’ Money! With The Amount Of Publicity & The Dynamism Of Little Gerald I Guess They Will Get 20 or 30! I’m Surprised Nigel Farage Gave Permission For Someone To Speak Without Him – I don’t suppose he expects many to bother going! Almost as lame brained as holding a London Rally on Cup Final Day!! I wonder if you have seen all the advertisements for this major even! Gerard Batten is due to attend an open UKIP meeting this Saturday in Hertfordshire. 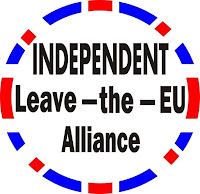 We trust that Gerard will be asked why he is still prepared to sit in the extremist, racist, anti Jewish & pro EU membership EFD Group when Mike Nattrass MEP, Nikki Sinclaire MEP and Trevor Colman MEP are not. We would also be interested in his opinions as to why no action has been taken by UKIP’s NEC after The Sunday Times obtained incriminating statements that UKIP MEPs Agnew and Bannerman – the region’s UKIP MEPs – were /fraudulently obtaining tax payers’ money and illegally paying the UKIP Regional Organiser Peter Reeve out of their EU allowances. That both Stuart AGNEW & David BANNERMAN are under investigation for Fraud with prima Facie Evidence should surely cause UKIP pause for thought and that they lacked the integrity, just as with Derek CLARK MEP, speaks volumes of the dross that are UKIP’s Leadership and its parasites. Professor TIM CONGDON. CBE. One of the UK’s most influential economists. Conservative and Labour governments have surrendered most of the UK’s powers of self government to the European Union. We must return the control of our Country, our laws, our economy and our borders to our own Parliament at Westminster. This is your chance to meet and question National and Local representatives of UKIP – the ONLY major political party putting Britain and the British People FIRST ! For your country’s sake, for your children’s sake – Vote UKIP! Buffet lunch available, also refreshments, see overleaf. Please send me ………… tickets for the buffet lunch at the Civic Hall on 9th April 2011. St Helens, Middle Street, Nazeing, Essex. EN9 2LB. I wasn’t going to bother with a follow up as I only expected about 30 people to attend but with Robin Page attending as the most notable speaker this dragged the numbers up a little and I gather about 40 are claimed to have attended. It was good of Robin to try to bolster Martin Harvey’s meeting but he studiously stayed away from telling the truth about UKIP before shooting off to enjoy the weather leaving the audience somewhat bemused by his avoidance of the facts regarding UKIP – to leave Martin Harvey with his delusions that change can be effected in UKIP. This entry was posted on 08/04/2011 at 21:20	and is filed under David BANNERMAN MEP, Michael HARVEY, Mike Nattrass MEP, Nikki SINCLAIRE MEP, Peter REEVE, Stuart AGNEW MEP, Tim Congdon. You can follow any responses to this entry through the RSS 2.0 feed. You can leave a response, or trackback from your own site.